but some things Just take TIME!!! This quilt is ONE of them!!! I surely need more of that! I've committed my Thursday mornings to the task. No MATTER WHAT I feel like doing!!! I began this quilt way back HERE!!! onto a BIG (bed sized) piece of muslin. then I applique them on. I am NOT following the directions. That would be too EASY! 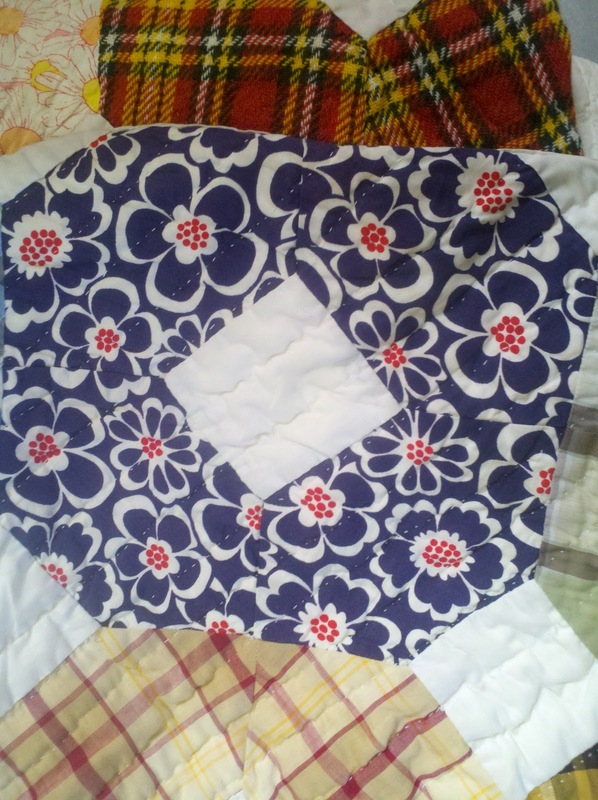 Pinning an orphan block quilt. 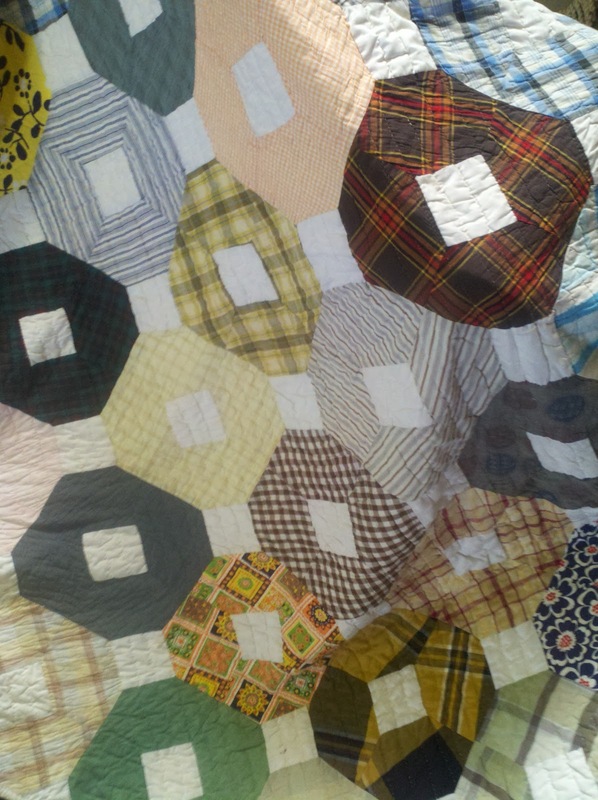 Arranging orphan blocks for a charity quilt. I LOVE this kind of work!! I pieced some soft flannel yesterday. a pretty and simple quilt!!! It's FULL of friendly ducks and lambs...etc. 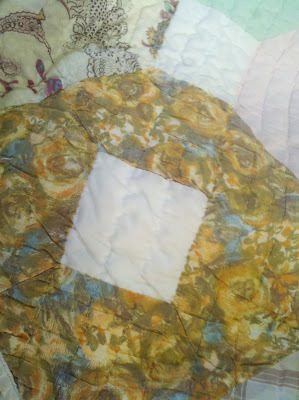 Can you see the quilting lines? and this one is SO soft and pretty!!! was still laying out from my last project!!! The perfect size for a cuddle. This is my attempt at doing that. lots of 1 1/2" strips of fabric!!! when I put it away a few months ago!!! It sure didn't take long to get it DONE! A child that didn't need a nurse. "FOR THE LOVE OF OLIVE" quilt. I love the way it goes with the green tumblers in there. This is a comfort quilt. Just the kind I LIKE! 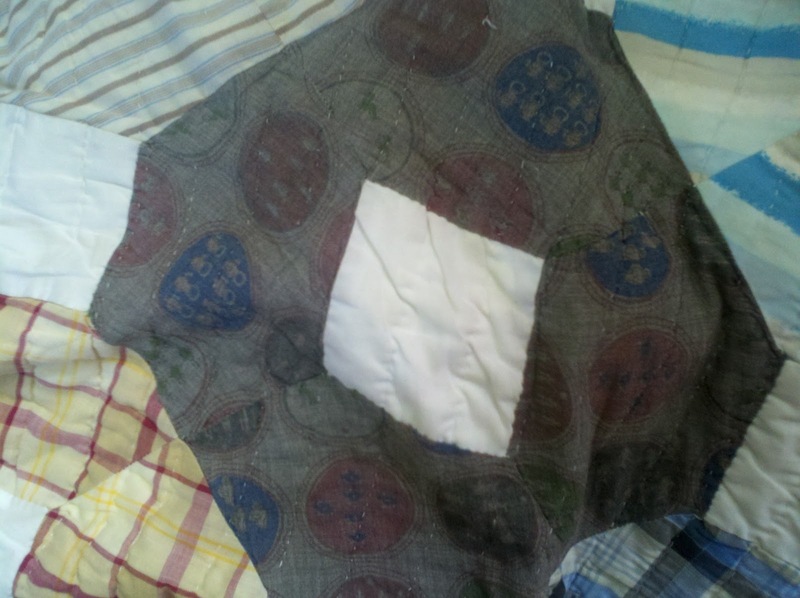 I pulled out an unfinished quilt today. Is what I really SHOULD be doing. It was on my LIST to do this week! 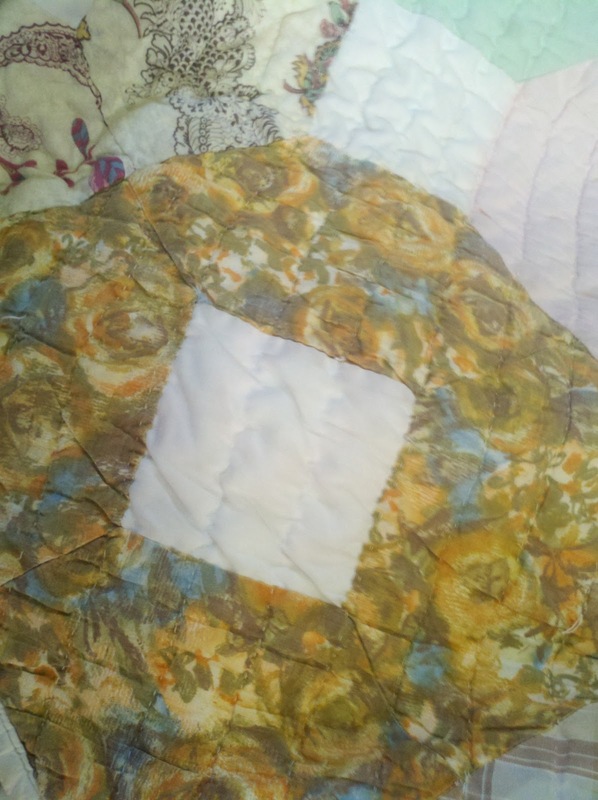 There is a serenity in quilting I love. I made more ring blocks with friends. Love these GREAT BIG blocks. I also received some pictures from blogland friends. All those different blues and reds! Norece made it for Quilts of Valor. Holly made this one last year for her daughter. I LOVE the color palette she used! You need to pop over and see THIS ONE! And I mean NEED TO!!! using LOTS of half square triangles. Hope you have some time to SEW! We have a few of these little fleece blankets around here. This one was a FREE gift for donating $$$. and ended up at our house! The robe wasn't staying on quite right. She has a little disability..
and robes can be FIDDLY things!!! They used these in ancient times??? It felt like an invention to ME!!!! You can tell by now. Totally stuck on this pattern. I'm exploring ALL the possibilities! I like this even better on point! I bet there's a pattern for this one! have to re-invent the Wheel...every. time. I used 3 1/2" squares and half square triangles. I laid out only the 3 1/2" square pieces. This took a little concentration. needed in the half square triangle blocks! See how they're ALL different??? and my mind was SWIRLING!!! My machine would be RIGHT next to the design wall! and that's where I had to stop. They're going to have to wait to GROW longer! I have a SUPER busy weekend ahead. before Miss Granddaughter comes to play today! I've been struggling to make a decision! That OLD quilt in yesterday's post was the ANSWER! 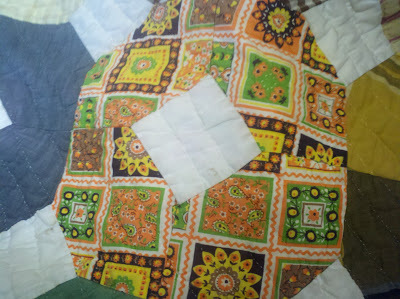 I simplified the quilt block and setting. I got going and ALMOST made a WHOLE quilt!!!! Better stop and let others have some fun too....right? 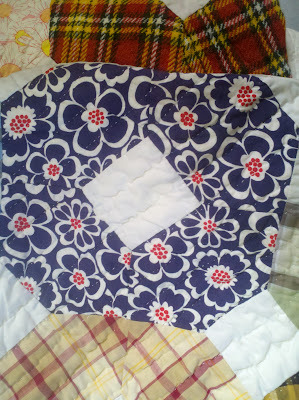 Can anyone remind me what this quilt block is called?? 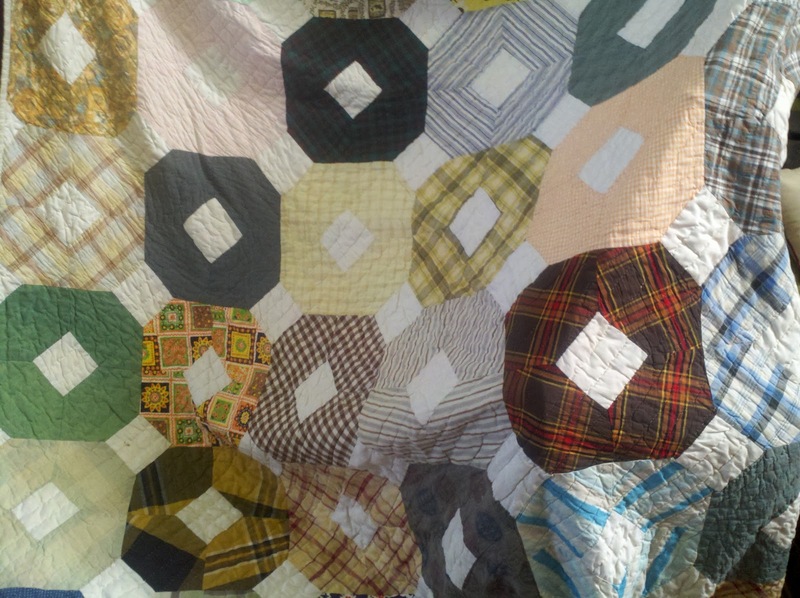 It's not often I run into an old quilt. Love. all. those. old fabrics!!! Not sure I would love sewing all those Y seams!!! Pictures satisfied me..... THIS TIME!! !